A charity has announced plans to build 15 more operating rooms to provide access to safe surgery for children in low and middle income countries. KidsOR, found by two Scottish philanthropists, said research shows that approximately 1.7 billion children with routinely treatable conditions lack access to safe, affordable surgical and anaesthesia care when needed, resulting in death or permanent disability. More children aged between five and 14 die every year from surgically-treatable injuries than from malaria, HIV and TB combined, the charity said. It has already launched four fully operating surgeries in Malawi, Rwanda and two in Tanzania, and on Thursday announced plans to develop 15 more operating rooms by the end of 2019 in locations including Nigeria, Sierra Leone, Malawi and Central America. Garreth Wood, who founded the charity with his wife Nicola, said: “Access to surgery is a basic human right but sadly there are still almost two billion children around the world who lack access to it. “It is unacceptable that any child should die – or live their life in agonising pain or disability – because of a surgically-treatable condition. “Nicola and I believe our work is not only the right thing to do but KidsOR is already proving that investment in surgical services for children is affordable, saves lives and has long-term benefits for the economic growth of a country. The charity also announced it has just completed its 5000th operation. KidsOR supports local surgical teams by providing them with the right equipment to do their jobs and invests in local surgeons as they create services to care for their own nation’s children. 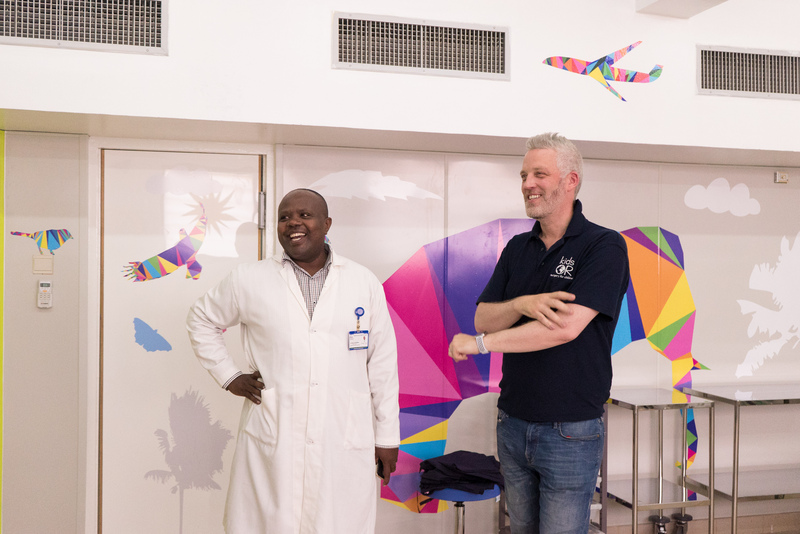 Professor Kokila Lakhoo, chair of the global initiative on children’s surgery and consultant paediatric surgeon at the University of Oxford, praised the impact being made by the charity. She said: “Working in partnership with local surgeons and providing them with real solutions to increase the number of children they can operate on is transforming children’s lives across low and middle-income countries. “In Tanzania, a three-year waiting list for elective surgery was wiped out in less than three months after a KidsOR installation.